When you're on a diet, foods with high calorie content is very avoidable. And usually, you will be given a menu list of foods that are low in calories. Even so, we still have to pay attention to total calorie intake so that these needs remain fulfilled. 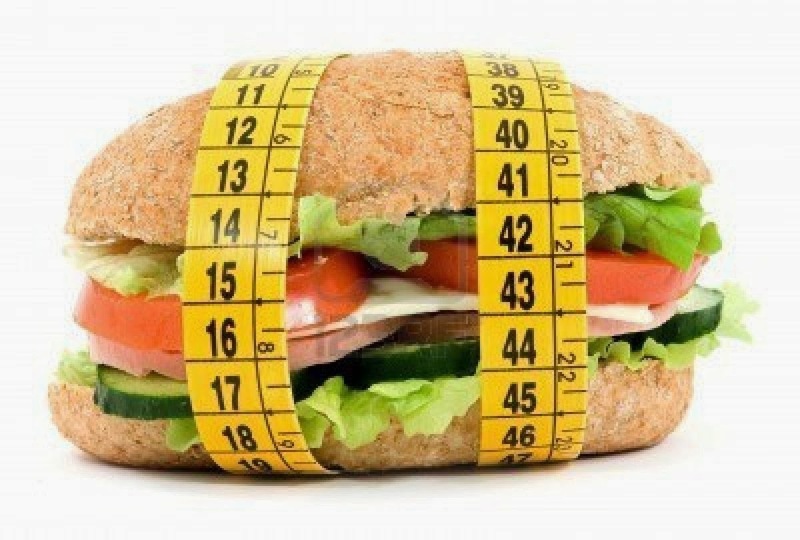 A calorie is a unit used to measure the energy value obtained by the body when consuming food or beverages. To ensure that the needs of your nutritional value adequate well, you should look at the calorie content of foods or beverages you consume. According to wikipedia, recommended daily intake of calories in the United States are 2,700 and 2,100 kcal (11,000 and 8,800 kJ) for men and women (respectively) between 31 and 50, at a physical activity level equivalent to walking about 1.5 to 3 miles per day at 3 to 4 miles per hour in addition to the light physical activity associated with typical day-to-day life, with French guidance suggesting roughly the same levels. Children, those with sedentary lifestyles, and older people require less energy; physically active people more. Apples are one of the most popular low-calorie foods. An apple typically contains about 65 calories and packed with vitamins and minerals, especially vitamin C, K, and potassium. A best choice for children and adults, this delicious fruit only contains 9 calories per ounce. Very significant benefits, such as reducing the risk of heart disease, stroke and blood pressure, and increase the capacity to heal wounds. Watermelon is also an important source of lycopene, an antioxidant that helps protect you from cancer. One other favorite foods, with only 49 calories per 5 ounce serving, the fruit will increase the amount of your energy. Strawberries are also one of the foods that are highly nutritious and have many positive effects on health, such as reducing the risk of heart disease and stroke, increased memory, better protection against cholesterol, cancer, muscular degeneration, and infection in general. Often referred to as a super food, broccoli is not only very low in calories about 10 calories per ounce, but also very nutritious and protects you against inflammation and cancer. To optimize nutrient contained broccoli, the best way to cook them is to steam or boil. About four ounce servings of these vegetables will add 50 calories to your daily intake. Carrots are known for giving benefits to the sharpness of your vision and the osseous system. Is a popular choice for salads and juices, and even as a raw snack. Tomatoes offer low calorie approximately 27 calories per 5 ounce serving. Tomato offers a very complete spectrum of nutrients, most of which vitamins and minerals are represented, especially vitamins A, C, and K, and potassium. Adding tomatoes to your diet will protect against inflammation, diabetes, high blood pressure, and some types of cancer. With only 7 calories per ounce and a row of nutrients they contain, spinach is one of the best choices for a diet to lose weight. Spinach is great for preventing the risk of cataracts and conditions associated with the other eye. The best way to serve the spinach is lightly cooked or served raw. Make sure not to cook it too long or you will lose most of the vitamins in the process. One cup of celery contains less than 20 calories. Besides rich in fiber and water, celery can also help prevent cervical cancer. The way is prepared celery, wash and eat. Lettuce contains only eight calories per cup. Although the lettuce actually contains water which can promote weight loss, but the lettuce also contains iron and magnesium. So, the lettuce will help you quickly satisfied without making you fat. Just make sure you do not eat them in a salad with full-fat dressing. Cucumber contains only 15 calories per cup, while the pickle contains only 17 calories. Make sure you also eat the cucumber skin contains lots of fiber. Cucumber contains mostly water and less vitamins and nutrients. However, cucumber is also a low-calorie food. You can eat them without fear of fat. Lemon cleanses the body and provide a sense of the food you do not like. Mix a little lemon in warm water and drink in the morning to boost your metabolism. Lemon also boost the immune system and to prevent infection. Asparagus is a diuretic that facilitate food expenditure in the body fluids. 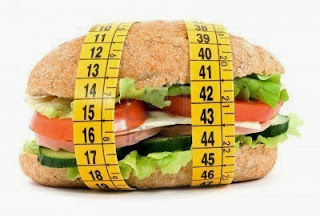 Even so, these vegetables contain substances that can eliminate fat cells and reduce weight. Not only help you lose weight, asparagus is also used to protect against cancer, as well as reduce pain and inflammation. When dieting, the body still needs carbohydrates. But choose healthy carbohydrates, such as potatoes. Not the fries that have a high fat content and calories, but a baked potato. These foods are low in calories, also contains potassium. Roast and eat potatoes with the skin (remember it should be washed with clean first) to get extra fiber. Bread made from whole wheat flour contains fiber which is much higher than white bread. It also contains complex carbohydrates that do not make the body fat. Make whole wheat bread as breakfast menu, brunch or a snack in the afternoon.